One differentiates between reusable trays and disposable trays, the basic difference is the material thickness. A returnable tray serves as a shuttle packaging, which is usually sent back to the supplier after filling, thus forming a closed circuit. Depending on the thickness of the material, the pendulum trays (returnable trays) should withstand some transport distances. These can then be cleaned by special cleaning companies depending on the requirements. On average, these are renewed every 1-2 years, but this depends strongly on the respective areas of application. 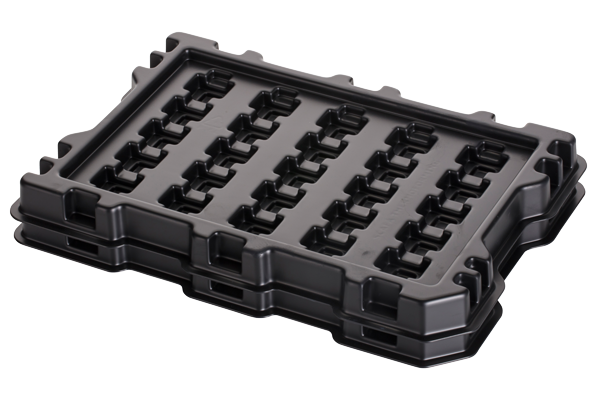 Reusable trays are usually very easy to stack and ensure safe transport of your components. Trays have become an indispensable part of automated logistics, especially for large quantities, for stacking or as an aid to inventory. Are you looking for an individual solution for your transport packaging? 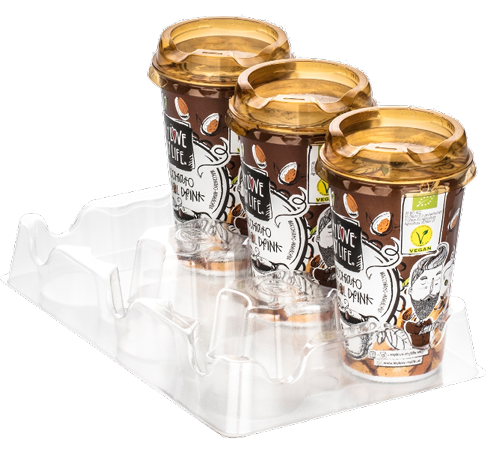 In addition to reusable trays, our portfolio also includes other types such as transparent packaging, which we manufacture according to your individual requirements. These include sealing blisters, blister hoods, clemshell, sliding blisters and Hf blisters. We help you to solve your packaging problem.